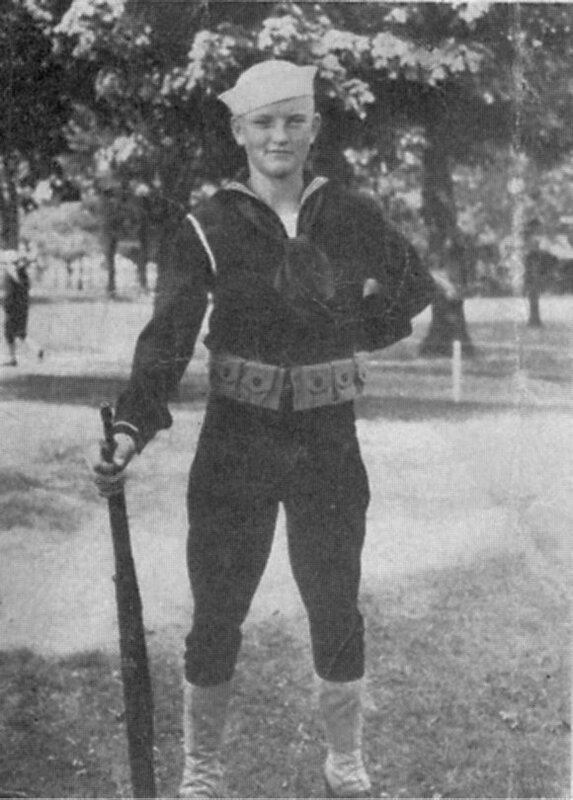 23 April 1943: Keel laid at the Norfolk Naval Shipyard, Portsmouth, Va.
84k Jackson Keith Loy, born 29 April 1922 in Effingham, III., enlisted in the Navy 4 September 1940 and served in USS San Francisco (CA 38) from 06 December 1940 until killed in action 12 November 1942 when enemy aircraft attacked his ship off Lunga Point, Guadalcanal. Gunner’s Mate Third Class Loy, manning an after 20mm. mount, fired at an attacker until killed by the crashing plane. His inspiring courage, cool determination, and utter disregard for his own safety were recognized with the posthumous award of the Navy Cross. 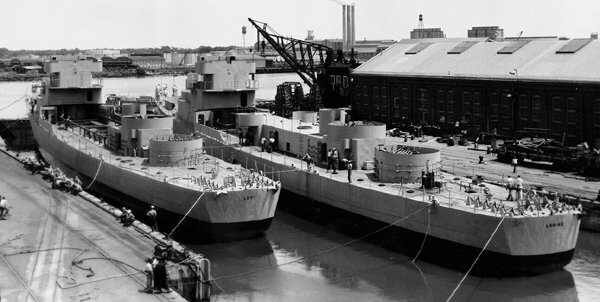 USS Loy (DE 160) (1943-1947) was the first ship to be named in his honor. 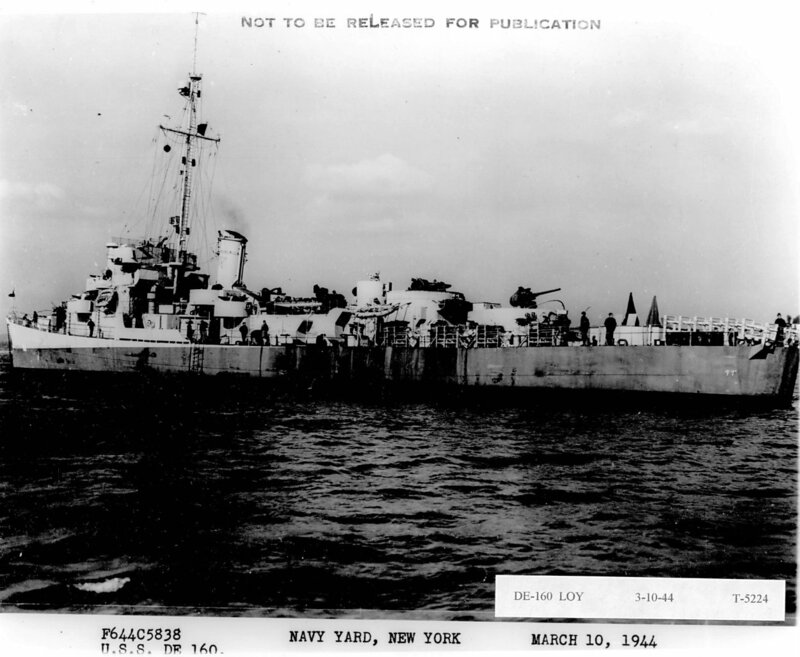 View the USS Loy (DE 160 / APD 56) DANFS history entry located on the Naval History and Heritage Command web site.